We invite you to read our inaugural issue of Shedding Light, a monthly newsletter covering the latest about the doctors and surgeons we serve, our newest innovations, current trade shows and deals, and important news about LED surgical lighting. This issue covers the XLT-125, Enova’s newest LED surgical headlight, how LED headlights fit into operating room sustainability, and our upcoming trade shows and announcements. Please feel free to comment on our articles and let us know if you have any news to share with our readers. Enjoy. 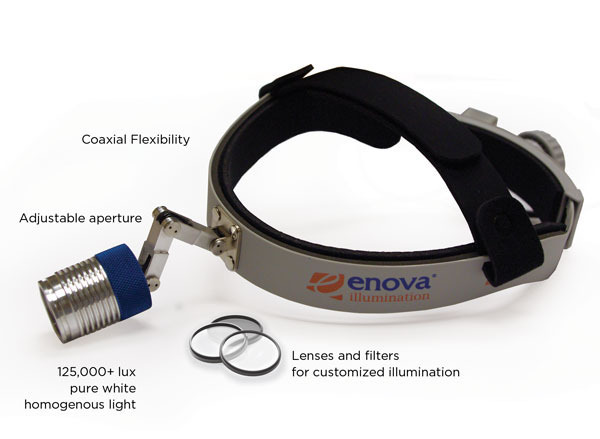 Late in 2012, Enova Illumination quietly unveiled a new LED headlight design at the AAOMS Annual Meeting in September. While there has yet to be an official announcement about the newest surgical headlight, called the Enova XLT-125, Shedding Light sat down with Enova Illumination President Roger Heegaard to discuss the company’s newest headlight design. SL: What prompted Enova Illumination to design a new headlight? SL: How long has Enova been working on bringing this headlight to market? Roger: We are an innovation company. It’s at the core of what we do. In this regard, we started designing the first concepts for the XLT series soon after launching the IRIS S-100 and IRIS D-200. We knew that the S-100 and the D-200 provided the brightest, pure white light ranging from 110,000 to 220,000 lux, but we wanted to push our design further to offer the flexibility the XLT-125 has. SL: What other features does this newest headlight have? Roger: The XLT-125 has three new and unique features. First, it has two extended brackets which allow for the greatest co-axial articulation in the market today. Second, it has an adjustable aperture so the surgeon can create the exact spot size needed to perform at his or her best. The spot size can be adjusted to range from as small as two inches to as large as six to eight inches in diameter. The light itself is 125,000 lux and the color temperature is 6100 degrees Kelvin. This provides the best light for true tissue rendition and illumination. And third, it is the first headlight in the market to allow for customization of color temperature and polarization through a series of attachable lenses and filters. This last feature is still in testing and we expect it to be available as an added feature in the next few months. SL: What are surgeons saying about the new XLT-125? Roger: The first physicians to see the new headlight were primarily oral/maxillofacial surgeons as we launched the XLT-125 at the AAOMS conference in September. Oral and maxillofacial surgeons, like all surgeons, require homogeneous light and the fact that the coaxial design provides shadow-free light is a plus. Unveiling the XLT-125 at that conference was a hit. Surgeons said they liked the quality of this headlight and the coaxial feature is a great improvement. SL: What other types of surgeons would find the XLT-125 an advantage in the OR? Roger: In addition to oral/maxillofacial surgeons, we recommend the XLT-125 for plastic, vascular, neuro, urological and ob/gyn. The XLT is also fine for many deep-cavity surgical applications such as cardiac, cardiac-thoracic, orthopedic, and spine – though the Iris D-200 still provides more intensity. SL: Do you have other innovations in the works currently? Roger: At Enova we are always looking at the newest technologies and new possibilities for LED surgical headlights. We have some very exciting innovations in process right now. When we’re confident about how well they function, our customers will be the first to hear about them. Learn more about Enova LED headlight by visiting the Enova Illumination website. As more hospitals look to reduce environmental impact, the operating room is the first room targeted. Why? Operating rooms are the largest users of supplies and the largest producers of waste within a hospital. According to a recent Health Facilities Management article, incentives continue to grow for hospitals to reduce their impact on the environment. Hospitals can achieve significant savings with fundamental sustainability efforts. 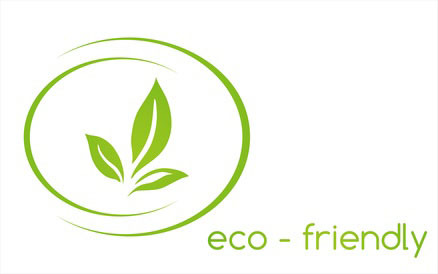 Those include such things as streamlining the waste disposal process, stepping up recycling efforts, reusing or donating supplies and equipment, reducing use of plastics and packaging, and eliminating trash inadvertently mixed with medical waste. Other sustainability issues being considered are a hospital’s energy use, conservation and management of water, healthier cleaning, and meeting LEED/Energy and Environmental Design guidelines. While looking at these issues, it makes sense for hospitals and surgeons to consider the type of surgical light used in the operating room. LED lights reduce downtime, energy consumption, mercury use, and improve light quality. Surgeons require a high quality light—one with the right color temperature and output without glare or shadows. LED surgical headlights provide this. In fact, the color temperature of Enova LED surgical headlights is 6100° Kelvin and they illuminate the entire surgical field with pure white light from a single LED chip. In addition, because LED lights don’t generate heat they are more comfortable to wear for the surgeon and safe for the patient. LED surgical headlights conserve energy and come at a cost savings too. Compared to purchasing a 300-watt xenon fiber optic system and factoring in the approximately $1,000 annual costs for bulb and cable replacement costs, LED surgical headlights saving can be conservatively estimated at approximately $3,000 to $5,000 in the first year. And, the actual LED has a long illumination life. The LEDs used in Enova headlights last approximately 50,000 hours; that’s 25 years of illumination if the headlight is used eight hours a day. If they haven’t already, healthcare facilities are likely to make sustainability part of their business plans in the next five years. Today’s technologies offer much to help them meet the challenge. Enova Illumination is proud of the LED surgical headlight technology it introduced in 2005—the very first LED surgical headlight available in the market was Enova’s Halo 5000—and the continuing LED headlight innovation it makes to provide surgeons with the best surgical headlights. If you or your healthcare facility wants to learn more about LED surgical headlight technology, please contact Enova Illumination at 651-236-8858 or at jnelson@enovaillumination.com. Enova Illumination gets a new website! Please visit it for the latest information about Enova products.